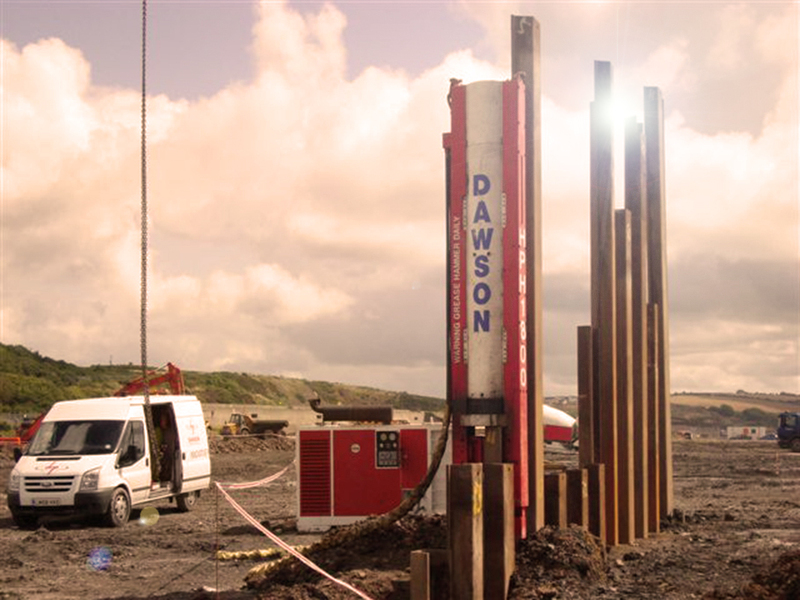 Dawson Construction Plant piling equipment hire fleet covers a wide range of equipment for all your piling needs, please call the sales team on +44 (0) 1908 240300 to discuss your requiments and ask for the weekly hires rates for the following catagories, or click on the links pages. We are the leading UK piling equipment manufacturer with more than 40 years of experience in producing a wide variety of reliable and efficient pile handling, installation and capping equipment. We have an extensive modern fully serviced hire fleet with full technical back-up. Attached is a pdf of our piling equipment rental fleet summary showing our crane suspended vibrators, impact hammers and excavator mounted vibros and drills. We currently have 3 modern Liebherr pilings rigs in our hire fleet, each having a complete set of front end attachments such as variable frequency vibros, auger drills, impact hammers and our versatile silent piling system - the most powerful currently available on the market with a force per ram of 200 tonnes. All of our equipment can be available to hire from our central based depot at Milton Keynes.